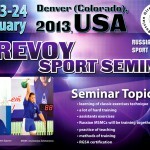 We plan to held girevoy sport seminar in USA. It will in Denver, Colorado, USA. Addres of gym: 4950 E. Asbury Ave. unit 1, Denver, Colorado 80222. 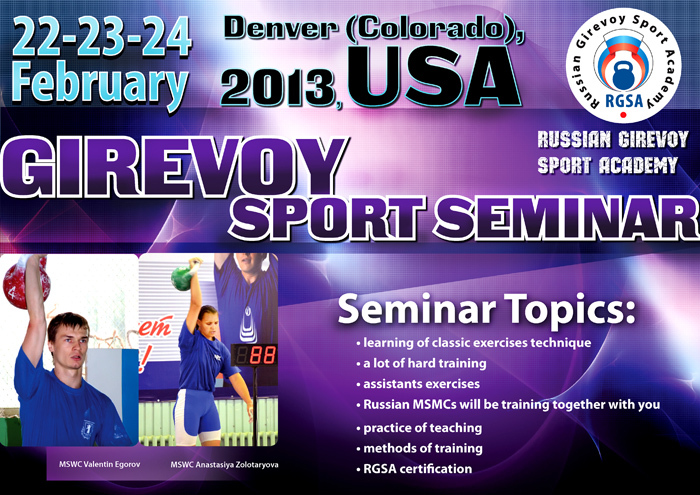 RGSA instructors: MSWC Valentin Egorov && MSWC Anastasiya Zolotaryova. Dates of seminar: 22-23-24 of February 2013. Contact me for any questions.. This entry was posted on Wednesday, November 21st, 2012 at 11:51 pm	and is filed under Uncategorized. You can follow any responses to this entry through the RSS 2.0 feed. You can leave a response, or trackback from your own site.